Losing someone you love is possibly the hardest thing to go through. 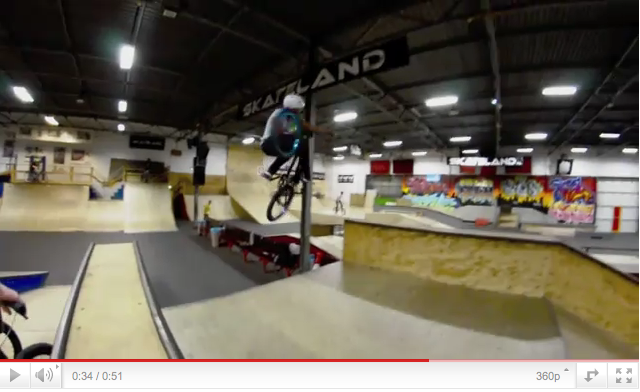 Here is a mini documentary of Brooke Betancourt by Props BMX telling her story. Deepest condolences to Brooke and Glenn’s family and friends. “In the summer of 2015 we had planned to shoot a video with Glenn Salyers and his girlfriend and fellow BMX’er Brooke Betancourt. Unfortunately Glenn died in a tragic motorcycle accident (it wasn’t his fault) before we could start shooting. About 2 months after the accident, Brooke mentioned she wanted to put together a mini-documentary about the whole ordeal, their relationship, her feelings and where she might go from here. Needless to say, we offered to help. The resulting documentary is called “Brooke’s Farewell”. RIP Glenn, only the good die young brother.